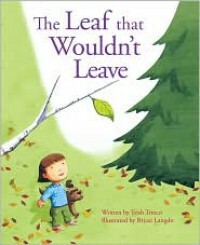 A kids' book with an autumn theme to teach them about letting go of something familiar to enable them to see more in life. The leaf represents the child or person who becomes comfortable, and quite literally goes where the wind takes them. A nice keepsake for kids, especially for autumn lovers. Three stars only because I think it's limited. The book seems only marketed to young kids, although if written a bit more in detail it could apply to more children of any age. Also the rhyming seemed forced, and didn't flow as easily while reading. Some sentences didn't exactly make sense or just rhymed for the sake of rhyming. Best to just have a story without rhyming at all if it's going to get too complicated for the author, who is obviously no poet. Kids likely won't care, but a parent reading it to them might fumble through it trying to read it with the appropriate rhythm and screw things up.